it says that AK-12 was chosen, so the a545 was dumped? No, both were accepted for a good reason. AK-12: Cheap and simple design meant for conscripts. AEK-545: More complex (due to higher capability), and more expensive, thus better suited for hardened combat special operators. There was plenty enough reasons to to bring both in to acceptance (something I predicted), both with pros and cons. Nope both rifles are still on state trials for mass issue (only supposedly tha A545 has been done with, no more modifications have been added for mass production). The AK12 has also more or less been finalized for mass production. Initially some said that the A545 wasn't tested anymore since October of last year. This for a reason, the rifle "doesn't need any more features". This could also simply mean that the MO doesn't want to take a mass risk with the A545 and will rather clear it of service, but possibly not mass field it (a known story at Kovrov). 6B45 and 6B47 in desert colors. So these guys are modern day version of Assault Sappers from WW2, awesome!!! I remember that they talked about reviving that unit back in 2014. Military Acceptance video on the suit. The part with the active cooling system was slick. at 10:56 you can see Fort.ru's logo on the plate. I have tried to access the website for over a year and it has been "under construction" for forever. No time to update the website I suppose. So I take it the company made the kevlar vest then, no? What is the name of it? 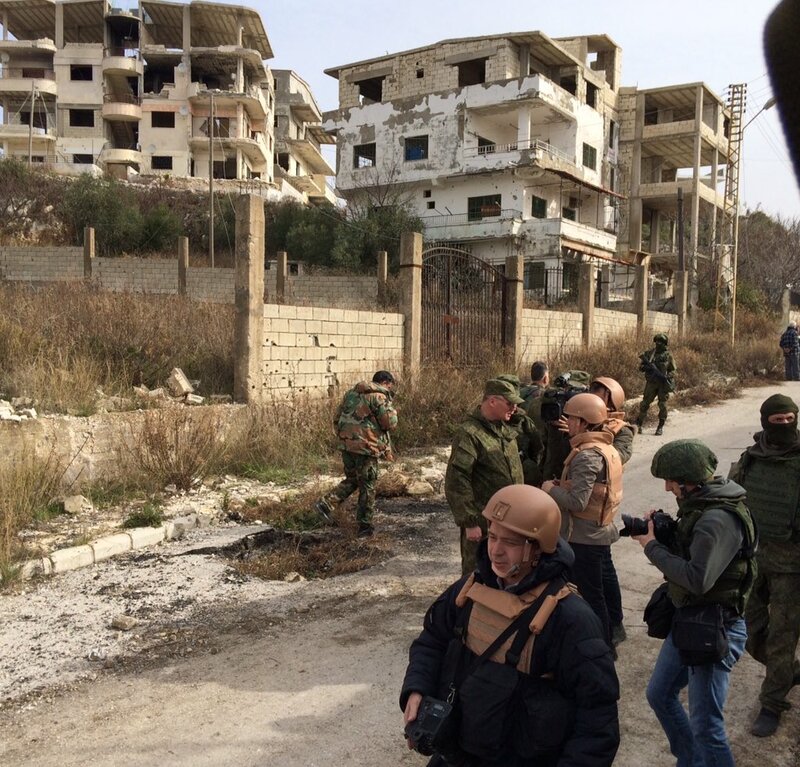 All Russian peacekeepers got equipment "Warrior"
SAMARA, February 18. / Corr. Alexei Sokolov TASS /. All military personnel only Russian peacekeeping brigade received military equipment "Warrior". On Thursday said the commander of the 2nd Guards Combined Arms Army of the Central Military District, Major General Igor Seritsky. "In February, a fully completed equips military peacekeeping connection of a new form of" Warrior "- Seritsky said. More than two thousand people are in the team. In "Warrior" includes winter and summer bilateral camouflage kits that let you perform a variety of tasks at high altitude at the temperature from minus 25 to plus 45 degrees Celsius. 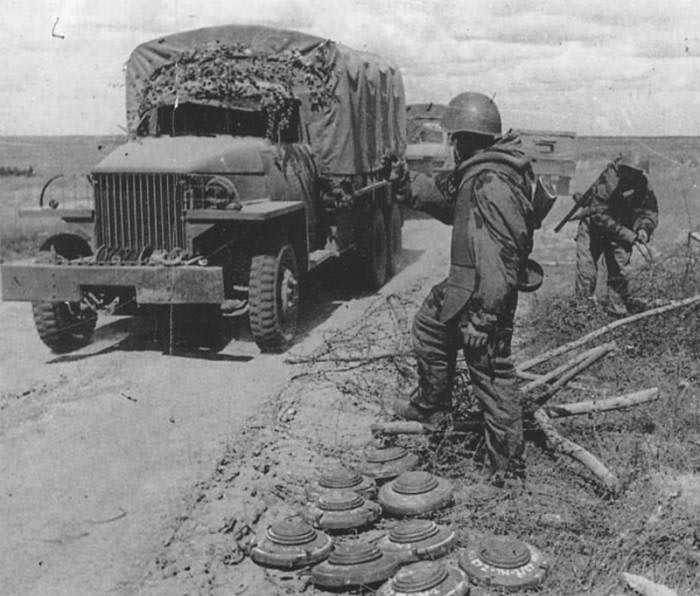 As part of the ammunition 40 protection and life support elements, including flak jackets and Armed helms, waterproof overalls, hearing protection, vision, elbow and knee joints. There is also a self-contained heat source, individual water filter, a means of first aid and respiratory protection. Russia's first peacekeeping brigade was created in the Samara region in 2005. It is designed to solve the problems of peacekeeping in the CIS, but may act under a UN mandate, if necessary, outside the Commonwealth. Its military tasks performed in Transnistria, Abkhazia and South Ossetia, as well as participated in international exercises "Peace Mission", "indestructible brotherhood" and others. "The development utilizes the latest technology - transmission of sound through bone headphones When a fighter says or accept commands, sound is not through the ears and traditional microphones, and through the bones of the head, so to speak -.. Through the temples are transmitted vibrations, which are read by the equipment. Thus, fighter has the ability to simultaneously receive radio commands and hear everything that happens on the battlefield, "- a spokesman said. There are some products that use bone conduction audio on the market, but I don't think I've ever seen it used by a military. Has anyone here used headphones like this before? My understanding of it is that by leaving the ears open, a user can still hear their surroundings, and transmissions are supposed to sound as if the person is right next to you. Desert variant of 6Sh122 and 6Sh117 in Palmyra. 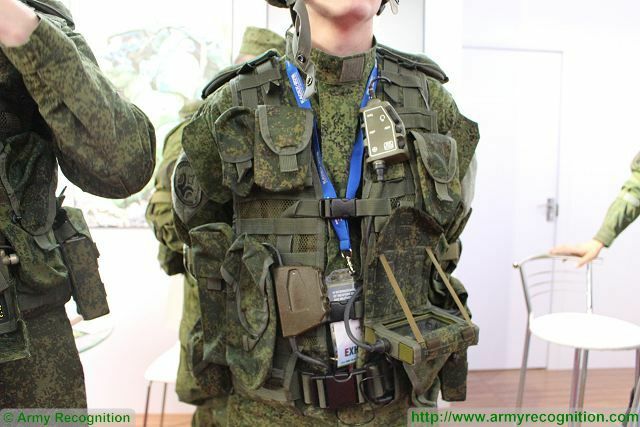 "The Russian Company Radioavionica presents latest generation of communication and observation equipment which is now integrated to the Russian Future soldier project "Ratnik". The whole system of Radioavionica called 83T215I includes operation control console, telephone microphone headset, multifunctional console, satellite navigation system module, power supply container, hardware box and individual charger. The main tasks of the kit is to collect, receive and transmit information about the tactical situation, order from the superior authorities, data about position and the enemy intelligence. All these information can be displayed in text or graphical form on individual screen. The 83T215I communication system has a total weight of 2,4 kg and can be used a maximum distance of 1,5 km. It has a total of 11 radio frequency channels and a data transfer speed of 11 Mbit/s. Two kits are available, one for the individual soldier and one for commanding officer. The individual soldier kit is designed for execution of individual and group information tasks enhancing the efficiency of control of individual soldiers in the chain "company — platoon — squad — soldier", as well as control of units and weapon in all combat types when performing operations on foot and at combined order of battle. Moreover, the kit ensures an automated optical reconnaissance of objects (targets), their location, and coordinate information exchange with superior command authorities for the purpose of target firing. The commander kit is designed to automate the process of solving settlement-tactical and information tasks, including complex task of collecting data about the situation, the organization and conduction of hostilities. The kit provides making on informed decision on joining the battle, organization and control of hostilities, prediction and assessment of the effectiveness of combat operations, enhancing the stability and efficiency of control of individual soldiers in the chain "company — platoon — squad — soldier", as well as control of units and weapon in all combat types when performing operations on foot and at combined order of battle. Moreover, the kit ensures coordinate information exchange with superior command authorities for the purpose of target firing." According to the head of Russia's Advanced Research Fund, Russian scientists are working on creating third generation "future soldier" equipment. MOSCOW (Sputnik) – Russian scientists are working on creating third generation "future soldier" equipment, or Ratnik-3, the head of Russia's Advanced Research Fund told Sputnik. "Work on the Ratnik-2 is carried out by the Defense Ministry, while we are working on, so to say, Ratnik-3," Andrei Grigoriev said. Railguns will be truly effective no sooner than in 50 years, and recent news on US railgun tests are likely related to the military budget process, the head of Russia's Advanced Research Fund said. "The issue of effective railgun use will probably take another 50 years to decide," Andrei Grigoriev said. "Work in this direction has been carried out for 50 years already and I wouldn't react strongly to recent publications. I think that there is a usual struggle in the United States on the approval of the military budget, they need to showcase some sort of scientific and technological achievements," he added. 1,000,000 military personnel," the decree, dated July 8, reads. This work is already completed. No details of Thermal and UV cameras will be given . While we discuss about thermal camers within of few hundreds. Russian army is busy dealing in few millions. The latest Russian superzaschitny 6B48 set tank "Warrior-EK"
As part of the "Tank biathlon" in podmoskovskom Alabino could see various models of military technology and equipment, located on the Russian Army. In particular, much attention of visitors attracted new protective kit for the crews of armored vehicles 6B48 "Warrior-EK", entered service two years ago. From the explanatory material of the Moscow Center of high-strength materials "Armokom" know that the package is designed to protect the crew fighting vehicles from the effects of secondary fragments in the crew compartment, open flame, thermal effects, and protect the knee and elbow joints against mechanical damage. A first protective body armor structure used bronepaket hybrid based on traditional ballistic fabrics in combination with the nonwoven materials of aramid fibers. The kit includes: Ballistic vest broneshlemofon, fireproof overalls (summer and winter). Ballistic resistant vest V50% for at least 550 m / s. The area of ​​protection of body armor at least 45 sq.dm., weight - no more than 3.2 kg. Ballistic resistance broneshlemofona V50% for at least 630 m / s. broneshlemofona Weight no more than 1,9 kg. Coverall can withstand open flame up to 15 seconds. Time enough to leave a burning military vehicle. As explained by the "Bulletin of Mordovia" one of the leading Russian military expert, chief editor of "Arsenal Fatherland" Viktor Murakhovski, at its creation is taken into account foreign and rich domestic experience. We still in the 1980s there were fire-retardant overalls with masks and gloves. But, unfortunately, there was no Ballistic protection, and shrapnel injury accounts for 70% of injuries. It's amazing how right pixel camo looks on Russians and how bad it looked on the US ACU. KoTeMoRe wrote: It's amazing how right pixel camo looks on Russians and how bad it looked on the US ACU. Maybe instead of 'one size fits all camo', the US military should go back to the concept of background specific camo lol! The Russian Defense Ministry and the Russian State Corporation Rostec are developing brand-new bulletproof vests due to be made of ultra-light and high-strength material. Using the newest synthetic materials for producing bulletproof vests will help significantly reduce the weight of these armored jackets which are designed for the Russian Armed Forces, according to the Russian newspaper Izvestia. The newspaper quoted a Russian Defense Ministry source as saying that research work on the new bulletproof vest comes as part of the development of the Ratnik-3 personal combat uniform kit. 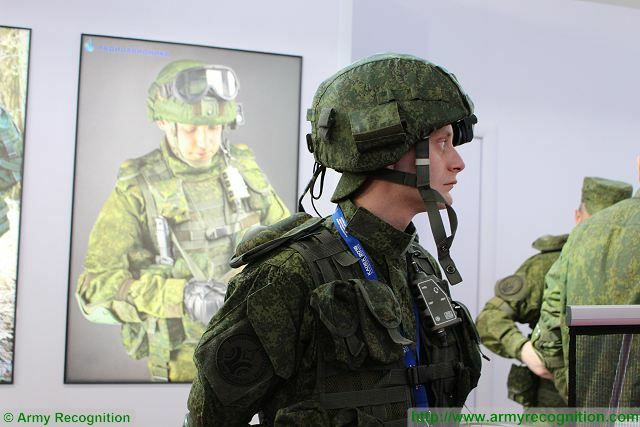 According to a spokesperson for the Russian Defense Ministry familiar with the situation, the research work, which was officially launched in January 2016, aims to create the third-generation soldier equipment using advanced materials. "In particular, a servicemen's uniform will be made of aramid fiber, while bulletproof vests and protective helmets will be produced with the help of armor ceramics which will contain boron carbide," the spokesperson said. 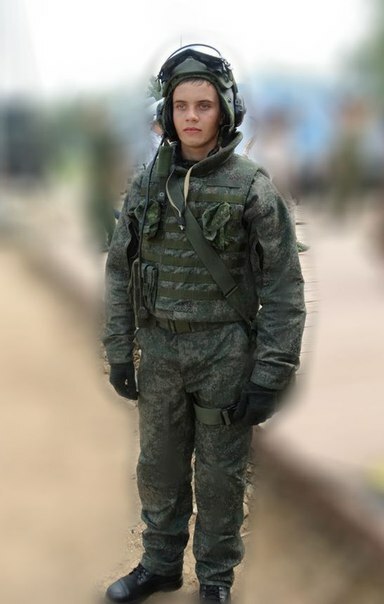 The new body armor will be used both for Ratnik-2 and Ratnik-3 infantry combat systems, he said, adding that the use of new materials will allow the producer to slash the weight of the bulletproof vest without sacrificing its durability. "With the current bulletproof vest in its complete configuration, including the protection of the groin, forearm and neck, weighing about 15 kilograms, the new body armor's weight will be reduced by 20-30 percent", he said. As for boron carbide, an extremely hard boron–carbon ceramic and covalent material used in tank armor, it is already produced by the experimental production enterprises Bifors and NEFS-Soyuz in Russia, according to the spokesperson. Earlier, Russian Land Forces commander Col. Gen. Oleg Salyukov said that more than 80,000 Russian servicemen were equipped with Ratnik-2 "soldier of the future" gear in 2015. The Ratnik-2 outfit adds significantly to the soldier's combat efficiency and survivability, not least because it's lighter; at 20 kilograms, it weighs just half as much as its predecessor. 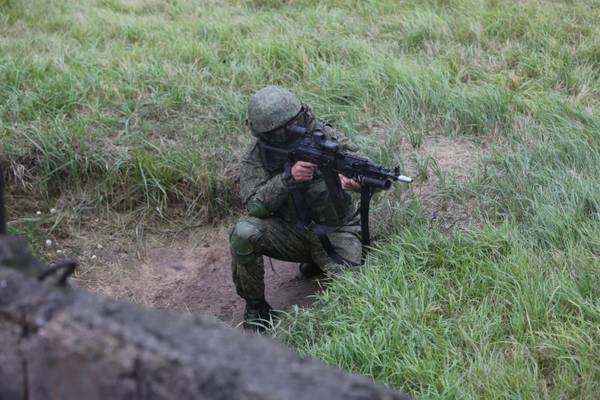 The Ratnik gear comprises more than 40 components, including firearms, body armor, and optical, communication and navigation devices, as well as life support and power supply systems. The Ratnik outfit is mainly designed for snipers, riflemen, drivers of armored vehicles and airborne combat vehicle gunners. Russian military engineers are working out unified combat subsystems where a soldier may act as part of a single structure. 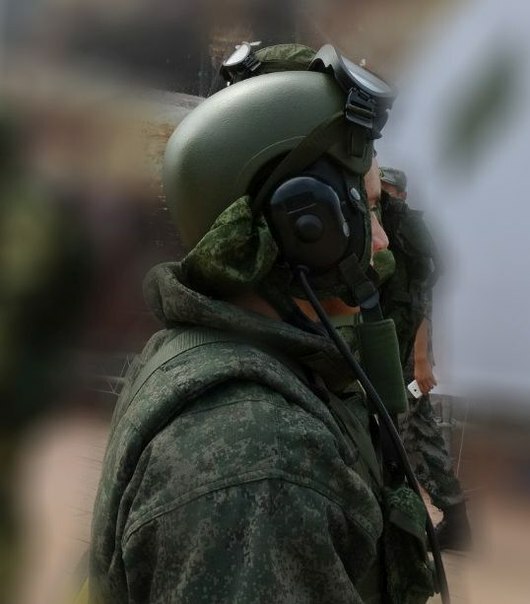 The Ratnik gear helps a soldier maintain stable radio contact and receive continuously updated reconnaissance data about enemy positions and the overall situation in the combat zone, something that makes him an intellectual fighting machine.